Custom wood burning ovens, fireplaces, smokers, heaters, grills, fire pits, kitchens, as well as hardscape (patios & retaining walls), and architectual masonry work. Individual components or any combination, mixed with stone or concrete countertops, gas grills & burners, refrigerators, sinks, stone cabinets, stainless steel doors & drawers, all of your outdoor living needs. 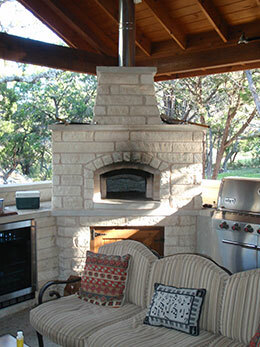 Our master builder has joined Texas Oven Co. to focus on wood-burning ovens and custom wood-burning appliances. 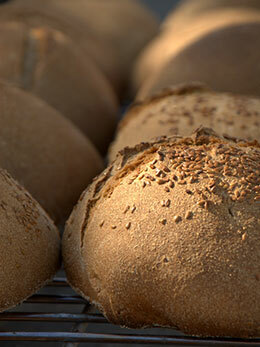 A wood fired oven is the corner stone of your outdoor kitchen. We have an oven to fit your needs and wants. True hand built masonry fireplaces at a competitive price. For inside or out, from simple to sophisticated. A masonry heater is a step above an open fireplace in both burning and heating efficiency. Burns soft wood cleanly. Our brick fire pits feature a fresh air intake/water drain in the bottom. Great for story telling. Grate for grilling. We build masonry surrounds for gas grills, and brick lined grills for wood and charcoal enthusiasts. Masonry smokers use half the wood and are easier to regulate than metal smokers.A must have for all omnivores. Your outdoor kitchen could be a table for two, a BBQ joint, or a neighborhood pizzeria all in the same week. Build a living room outside. Blur the lines between inside and out. Include stone floors, a fireplace, a water feature. We are based out of the Austin area but cover the Dallas, Houston, and San Antonio areas. If you are outside of these areas, please contact us for availability. Copyright © 2015 Wood Fired Outdoor Kitchens. All rights reserved. Website by Boom Consulting.